Overwatch League will publicly track players that break the rules and get suspended during season two, and, unsurprisingly, the list already has several names on it. Six players have already been suspended and a seventh has been hit with a $1,000 fine — leaving several players sitting out the first few matches of the 2019 season. Punishments were doled out for throwing matches and boosting, sharing, and selling accounts — but themajority were for boosting. Some of the teams have issued their own statements regarding the suspensions via their Twitter accounts and detailed how they’ll deal with it internally. Account boosting, where high rank players play on someone’s account to increase their Skill Rating in the game’s Competitive Mode, was recently recognized as a punishable offense in South Korea. Players who boost can receive up to an $18k fine and two years in prison. Considering the popularity of account boosting and that many players in the Overwatch League are from South Korea, we could see more players affected by this during the upcoming season. The OWL’s list doesn’t show fines or suspensions from the first season, nor does it show any infractions that players make during Contenders. There have been confirmations and reports of players who were banned from playing in Contenders, including Blake “Gator” Scott, who will be playing for Atlanta Reign. The list also doesn’t include the suspensions players may receive outside of professional play. That means we’re only seeing a portion of the trouble the pros are getting into. Overall, it’s a good move by OWL to publicly show who breaks the rules, but it might also highlight how small the punishments are for the players, especially when they’re paid upwards of $150,000 a year to play. 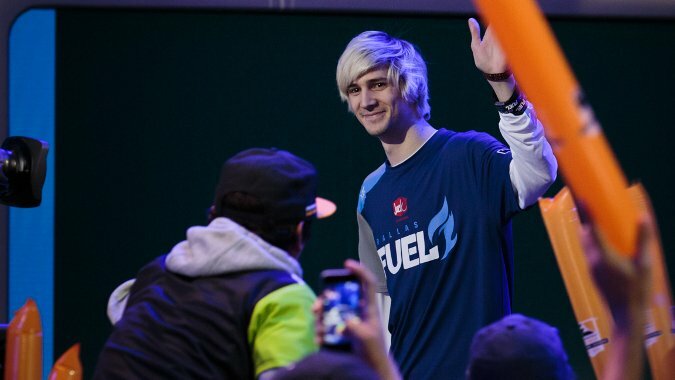 If someone like Félix “xQc” Lengyel can be suspended and fined twice as well as repeatedly suspended in-game, maybe there should be stronger, lasting repercussions in the League than sitting out for a couple of games. Overwatch League season two starts on February 14 with a whole new schedule and eight new teams.